The following document is the minutes of the Ordinary Council meeting held on 12 June 2014. These minutes are subject to confirmation as to their accuracy at the next meeting to be held on 26 June 2014 and therefore subject to change. Please refer to the minutes of 26 June 2014 for confirmation. Update as at 16 April – the consultant brief for the project is with the OEH for their approval. The OEH are providing contributory grant funding towards the project. Council has been notified of withdrawal of application. Proposed upgrade to be considered in Draft Budget for 2014/15. Work is required on the pound to improve disease control and to provide additional pens for keeping animals for re-homing. A provision of $12,500 has been made in the draft 2014/15 budget for this. DLG have announced a grant scheme arising out of the Companion Animals Taskforce. Will need to await the formal release of the funding guidelines and criteria. Grant officer has made enquiries about Grant Scheme. Further deferred due to staff illness. Brief forwarded for legal advice, report deferred until May pending receipt of the legal advice. Solicitor has requested additional information from Council. Report deferred pending legal advice. Legal advice received. Report to July Meeting. Additional information has been submitted and is currently being assessed. Strategic Planner and Engineers to meet on site with consultants on 20 May to review engineering details. The aim is to have the draft detailed concept plans completed by early June 2014. Advice from DLG obtained. Report in June 2014. To be discussed at the Budget Meeting 22 May 2014. Has been omitted from draft budget due to the likely loss of FAGs indexation. Follow-up letter sent week ending 18 April 2014. Second follow up letter sent 4 June 2014. Following resolution on 12 June, third follow up letter sent 18 June 2014. Report scheduled for Council’s meeting on 31 July 2014. Financial Briefing at the Budget Meeting on 22 May 2014. Papers to be distributed prior to the meeting. Report on asset accounting to Council in August. A draft report has been prepared which was considered by MANEX on 18 June. Requires more work. Deferred to July. Commercially zoned land, Macksville – Council receives a further report for endorsement of a planning proposal once the matter has been further investigated. Data collected but further time required to report. Report now proposed for July 2014. Council receive a report on what it needs to make an application for funding under the NSW Gov Sust Dredging Strategy to develop a strategy and the costs involved. Council undertake an inspection of the Gumma Reserve after the grant funds for its upgrade have been expended. Letter of thanks received from the Member for Clarence. Letters sent 6 June 2014. Council make representations to the Member for Cowper, the Australian Labor Party and the Australian Greens calling for the Government to restore FAGs indexation. Council make a submission to the RMS in support of the revised policy for the location of highway service centres, and particularly the proposed service centre at the NH’s interchange. That following completion of the exhibition of the draft operational plan/delivery program that Council consider the 2014/15 Environmental Levy Budget comprising the projects shown in the table headed “Proposed 2014/15 Environmental Levy Budget”. Report to Council on 26 June 2014. That, in order to offset the impacts of the loss of FAGs indexation, all Managers be asked to identify and report on opportunities to make savings or increase revenue in their own area of operations which preferably maintain the service levels anticipated in Council's CSP: or alternatively and less preferred, propose a reduction in service levels on matters considered secondary to our mission statement. That based on advice given by the Regional Manager of NSW Trainlink to the public meeting of 26 May 2014, Council again write to Transport NSW and the Hon Andrew Stoner MP requesting reinstatement of the Nambucca Heads stop of the 2.41pm Sydney to Brisbane XPT train. Letter sent 19 June 2014. The discussion includes a summary of advice received from the Office of Local Government on the administration of donations, a recommendation of support for one such donation (North Coast Academy of Sport) and a recommendation for future consideration of requests from charitable organisations for the waiver of tip fees. 1. That Council note the advice of the Office of Local Government that a resolution is required for the provision of financial assistance to persons or groups. 2. That Council approve a contribution of $1000 to the North Coast Academy of Sport. 3. That Council approve the process of requiring charitable organisations to apply for the waiver of tip fees through a Donations Request. Council could choose not to support the request for donation at Recommendation 2; Council could adopt a different process for the waiver of tip fees for charitable organisations. At Council’s meeting on 30 January 2014 it was resolved that Council receive a report on possible ways to remedy the bureaucratic time wasting associated with the approval of small donations. The resolution was in response to a notice of motion from the Mayor which cited as a recent example a request for Council to provide 5 bins to the volunteer organisers of the Valla Fair. As a donation it required a resolution of Council. Section 377 of the Local Government Act provides that a Council cannot delegate a decision under section 356 to contribute money or otherwise grant financial assistance to persons. In response to the resolution the attached letter was sent to the Office of Local Government seeking advice on the matter. The attached response has now been received from the Office of Local Government. In summary the Office of Local Government has advised that decisions in relation to small, ad hoc requests for money or financial assistance have to be made by the Council and cannot be delegated. This means that there must be a report to and resolution of Council for each and every small, ad hoc request for money or financial assistance. For an organisation which will have an expenditure of approximately $50m in 2014/15, the provisions of the Act do seem to represent excessive regulation and control for what is generally regarded as a responsible tier of government. However the Council must comply with the provisions of the Act. Council made a donation to the NCAS of $1,000 in 2010/2011, but chose not to donate in subsequent years. The NCAS has requested funding of $2300 in 2014/2015 emphasising that local resident Craig Jarrett was announced Indigenous Athlete of the Year at the 2014 Academy Awards. The award will be presented to Mr Jarrett on 7 July as part of NAIDOC Week. A donation of $1,000 is recommended as it is in line with other donations made through the Donations Program and it has been a number of years since Council has donated to this program. Council has received a request for the waiver of tip fees from Lifeline North Coast. This organisation did not submit an application to the yearly round of the Donations Program, as other charitable organisations did. It is possible that other charitable organisations will seek the same consideration in future, outside the regular donations program round. It is recommended that Council adopt a consistent process which meets the legal requirements outlined by the OLG advice (see earlier discussion) whereby all requests for tip waiver fees are put to Council for approval annually. Once approved by Council, the organisation would be issued with a letter allowing them to dispose of waste in that financial year. It is recommended that a total of 75 tonnes be set as a threshold amount – when this threshold is reached Council will receive a report to determine whether to waive fees for additional amounts from charitable organisations. The 75 tonne limit is based on the total amount of waste disposed of last year by charitable organisations, with a slight increase to accommodate the possibility of an additional organisation requesting tip waiver fees. Setting this limit signals that Council intends to manage the amount of material disposed of by charitable organisations, which differs from previous years, and that organisations don’t have a “blank cheque” to dispose of everything they wish. This approach provides them with a degree of support from Council but also encourages them to recycle or re-use as much material as possible. Essentially, the implementation would be the same as that used in previous years, however requests would be considered through the Donations reporting process which would ensure transparency as required under legislation. There has been consultation with the Office of Local Government and the Waste Management Officer. The advice clarifies a governance risk in relation to the correct process to provide financial assistance to “not for profit” groups and charities. The notice of motion and referral to the Office of Local Government was mainly concerned with minimising the Council “overheads” associated with the reporting of requests for financial assistance. Avoiding or minimising such “red tape” is an important means by which Council can improve its productivity. There are other more efficient ways to provide the necessary checks and balances for such small “ad hoc” donations, including establishing a budget, limiting the quantum of the donation/financial assistance without a resolution and requiring more than one person to approve the donation or financial assistance. Unfortunately, in this instance the provisions of the legislation are such that there is no opportunity to develop more efficient alternatives. In 2012 Nambucca Shire Council adopted a new Donations Policy to provide clear guidelines for the management of financial donations made by Council: to allocate financial assistance in an equitable manner; and thirdly to provide in-kind assistance to local not-for-profit organisations and events. The Policy provides structure to Council’s donations arrangements whereby in August/September of each year Council advertises and calls for applications from groups for financial assistance and then assesses those applications in accordance with selection criteria set out in the Policy. Groups who receive funding are required to show proof of expenditure and demonstrate whether the objectives of the funding have been met. This new Policy replaced a previous ‘ad hoc’ arrangement whereby Council tended to provide the same annual funding to the same groups to the exclusion of others year in, year out. Notwithstanding the Policy, Council receives requests on almost a weekly basis from charities and not-for-profit groups for financial assistance invariably for the waiving of minor statutory fees and charges in relation to licences, application fees and the like. A recent example was the collection of a small volume of waste from the Macksville Driver Reviver Centre staffed by volunteers over the Christmas period. Whilst Council could simply undertake the collection of such waste and not record it as an expenditure attributable to a community group, the preferred approach is that financial assistance provided to ‘not-for-profits’ and charities whether by way of donation or work in-kind should be recorded in Council’s accounts. Council seeks the advice of the DLG as to whether, within its donations policy, it could provide a small budget for expenditure on such requests where they cannot reasonably be anticipated on an annual basis. Section 356 of the Act provides that public notice of an intention to provide financial assistance is not required if the financial assistance is part of a ‘specific program’. Your advice is sought in relation to the definition of a ‘specific program’. Does this mean that all recipients of financial assistance need to be identified in the program? Or can Council provide for a small discretionary budget to be allocated under delegated authority by the Mayor and General Manager with appropriate criteria and expenditure limits so as to respond to individual requests such as the provision of a temporary waste service for a Driver Reviver Centre? The issue of delegation arises because Section 377 provides that there is no general power to delegate decisions under Section 356 to contribute money or otherwise grant financial assistance to persons. In essence, the question is whether the definition of a ‘specific program’ in Section 356(3) needs to identify every individual/group who is assisted. Any advice you could provide in relation to the interpretation of these Sections would be appreciated. At the monthly dam committee meeting held on 4 June 2014, Haslin Constructions advised they had received representations from the adjoining property owner who was seeking the contractor’s co-operation to get the project finished as soon as possible. The property owners suggested that they work longer hours on a Saturday to try and get the job finished. They have been subject to dust, vibration and noise nuisance for the life of the project and it is understandable that they are keen to volunteer arrangements to get the job finished. As nearly all of the extractive products required for the dam construction have now been delivered, it is not considered necessary to continue with the restriction on haulage of materials on Saturday afternoons. Haslin Constructions have consulted with the closest neighbour. As there has been consultation with the closest neighbour it is not considered necessary to advertise the proposed modification of working hours for comment. There are no significant social implications. Haslin Constructions has undertaken consultation with the closest neighbour. It is in Council’s interests for the contractor, Haslin Constructions to minimise their construction timetable and to be able to manage their costs. Haslin Constructions are attentive to the requirements of the neighbours to the dam and have demonstrated a willingness to accommodate all reasonable requests within their operating arrangements. Subject to weather, the practical completion of the dam is now only 1 to 2 months away. The change in hours will only have very short term implications. This is a further report on the options for Council to consider a future application under the Government sustainable dredging strategy - Rescuing our waterways funding initiative. That Council receive the information regarding potential cost of a Dredging Strategy to investigate the issue of Shoaling in the Nambucca River and note that this type of strategy could be funded at a 50:50 ratio, through the Sustainable Dredging Program. Council may resolve to make application to prepare a Dredging Strategy under the Sustainable Dredging Program when it opens in the future. As per the second of the above resolutions this report details the requirements of a future application under this program for the investigation into the shoaling issues and potential costs. To assist in preparing this report Council staff approached GHD an engineering firm that has recently been engaged by the State Government to undertake a ‘Recreational Boating Study 2014’ which involved community/ user group consultations in the Nambucca. GHD have also prepared similar shoaling investigations for other local government areas pursuing dredging activities. We understand that Nambucca Shire Council is currently considering applying for a 50/50 grant from the NSW Government under future rounds of the Rescuing Our Waterways Program. We have recently assisted a number of other Councils in undertaking similar studies and would be pleased to assist Council with any investigations into the dredging of the Nambucca River. From review of your General Manager’s Report dated 27th March 2014, it is understood that a major dredging campaign has been ruled out by previous studies (namely the Nambucca River Estuary Study and Plan, as well as the Nambucca River Masterplan) on the basis of the high initial implementation cost and requirement for significant ongoing maintenance costs. We have therefore assumed that Council wishes to focus on priority navigation areas within the lower estuary as part of a minor dredging campaign. In order to provide Council with the information required to support a future funding application, we would recommend preparation of a Dredging Strategy. The Strategy would establish the key project requirements and would develop a dredging methodology to ensure that the project meets the operational constraints and environmental requirements in an efficient, timely and cost effective manner. The Strategy would provide Council with the information necessary to undertake a feasibility assessment based on the availability of internal funding. Assuming the project is deemed feasible, the Strategy would also provide the technical information required to complete an application for funding from the NSW Government under the Rescuing Our Waterways Program. The consulting fee required to complete a study of this nature would typically be in the order of $15,000 - 20,000 (Excluding GST). I should highlight that we have also provided targeted dredging advice to other Councils looking to undertake the bulk of the investigations internally. In these instances, the required consulting fees are substantially less, typically in the order of $5,000 (Excluding GST). 3 Should Council determine to proceed with dredging works it will need to be incorporated into the budget, a budget assuming 50:50 funding through the state would be allocated. The likely environmental, social and economic impacts associated with dredging have been considered previously within the Nambucca River Estuary Study and Plan, as well as the Nambucca River Masterplan. Should Council choose to proceed with any dredging an appropriate site specific investigation would be required at that time. Should Council wish to proceed with an application under the next round of the program a minimum budget of $10,000 would be required to be matched by the grant. As at 6 May 2014 consultant preparing report for JRPP. Matter renotified due to minor miss description of Lot and DP. Does not affect reporting timelines. The NSW Local Government Act 1993 requires council to pay each councillor and the mayor an annual fee and it must fix the annual fee in accordance with the appropriate determination of the Local Government Remuneration Tribunal. The Tribunal is required to have regard to the Government’s wages policy when determining the increase to apply to the minimum and maximum fees that apply to Councillors and Mayors. The public sector wages policy currently provides for a cap on increases of 2.50%. The Tribunal has reviewed the key economic indicators, including the Consumer Price Index and Labour Price Index, and found that the full increase of 2.50% available to it is warranted. 1 That Council set the level of fees payable to the Councillors and Mayor at the maximum. 2 That Council set the level of fees payable to the Councillors and Mayor at the minimum. 3 That Council set the level of fees payable to the Councillors and Mayor at a level between the minimum and maximum fees. 4 Council take no action. If Council does not fix a fee the minimum fee is payed. Option 1 is recommended as it is line with past Council practices. The Report and Determination of the Tribunal under Sections 239 and 241 of the NSW Local Government Act 1993 was made on the 24 April 2014. * The Mayor fee must be paid in addition to the fee paid to the Mayor/Chairperson as a Councillor/Member [s.249(2)]. The Tribunal did not review the categories of councils during the 2014 Review. In accordance with Section 239 of the LGA 1993 the Tribunal is required to determine the categories of councils and mayoral offices at least once every 3 years. The Tribunal last undertook a fundamental review of the categories of councils in 2012 and will next consider the matter in 2015. For comparative purposes, Coffs Harbour, Great Lakes, Greater Taree, Kempsey and Port Macquarie-Hastings councils are categorised as Regional Rural. Bellingen, Gloucester and Nambucca Councils are categorised as Rural. Section 248 of the NSW LGA 1993 requires a council to pay each councillor an annual fee and a council may fix the annual fee and, if it does so, it must fix the annual fee in accordance with the appropriate determination of the Remuneration Tribunal. Section 249 of the NSW LGA 1993 requires a council to pay the mayor an annual fee and the annual fee must be paid in addition to the fee paid to the mayor as a councillor. A council may pay the deputy mayor (if there is one) a fee determined by the council for such time as the deputy mayor acts in the office of the mayor. The amount of the fee so paid must be deducted from the mayor’s annual fee. Section 250 of the Act requires that the fees payable by a council are payable monthly in arrears for each month (or part of a month) for which the councillor holds office. Council is obliged to consider a suitable fee structure within the limits determined by the Local Government Remuneration Tribunal. The role and responsibilities of the elected members is an integral component of the Local Government good governance framework. Councils also play a pivotal role in developing and sustaining local communities. In 2013/14 the fee for Councillors was $10,480 and the fee for the Mayor was $22,870. The 2014/15 Budget provides $96,900 for councillor fees and $23,400 for mayoral fees. The adoption of the maximum fees for a Category Rural Council will result in minimal additional expenditure of $200, which will be reflected in the September 2014 Quarterly Budget Review. The report concerns the adoption of the 2014/2015 Operational Plan, Fees and Charges and 2014/2019 Delivery Program. The recent federal budget contained a freeze on the indexation of Financial Assistance Grants for three years; This represents a reduction in budgeted income of $145,000 in the first year. If these budget measures are passed through the Upper House a further report will be prepared to identify corresponding changes to the budget. Council can accept the recommendations or make changes to its Operational Plan, Fees and Charges and Delivery Program. 2 That Council advertise the Draft Operational Plan, Draft Delivery Program and Draft Fees and Charges for a minimum of 28 days. That Council consider a report on the Environmental Levy Program including 2014/2015 projects and that it be considered for exhibition so as to coincide with the budget preparation. The Operational Plan, Fees and Charges and Delivery Program were placed on public exhibition with submissions closing on or before Sunday 22 June 2014. A public meeting was advertised for the 5th June 2014 to present the budget for public comment, unfortunately no member of the public chose to attended. As at the date of preparing this report, Council had received no public submissions. However if any submissions are received they will be the subject of a late report to this meeting. Operational Plan and Delivery Program contained a scenario with an approved special rate variation and one without. Council has now received advice that the application for Special Rate Variation has been approved (see attached) and this additional income has been brought to account. The additional income funds a borrowing program for the restoration of bridges. Council has a current LIRS grant applications for an interest subsidy on this borrowing program, the outcome of the application has not yet been advised and it has not been included in the budget. The subsidy is 3% and worth approximately $30,000 in the 2014-15 year. The recently announced federal budget contained a freeze on indexation of Financial Assistance Grants for three years. The impact is detailed below. These measures have not yet been passed by the Upper House so the reduction of income has not yet been budgeted for, in the likely event that the decreased income is realised a further report will be prepared to identify corresponding changes to the budget. At the Council meeting of 13th February 2014 it was resolved that Council consider including in the budget an amount of $10,000 specifically for the purpose of recognising and/or supporting existing businesses within the Nambucca Valley, the expenditure of which is to be determined by the General Manager in consultation with the Manager of Business Development. This resolution has previously been overlooked and it is now bought to Council for consideration. No corresponding funding has been identified. An extensive program of consultation was undertaken as part of the application for the special rate variation. Council’s management executive has met to review the draft budget. The draft budget documents were presented to Council at the meeting of 22nd May 2014. The draft budget has been displayed for public comment for more than the required 28 days. There are no implications for the environment which have not previously been reported on. There are no new risks in relation to Council’s Operational Plan and Delivery Program. The forecast operating result in General Fund is a significant operating deficit. This is a continuation of a long term trend and is indicates that Council’s General Fund is not sustainable remain unstainable in the medium to long term. The report will finalise Council’s Operational Plan and Delivery Program. The Operational Plan establishes Council’s available working funds for the ensuing year. The Independent Pricing and Regulatory Tribunal (IPART) confirmed a rate increase of 3.8% under Section 508A (1) of The Local Government Act 1993 for 2014/2015 financial year. Council may resolve to adopt the Rates and Charges without applying the 3.8% rate increase or to adopt the Rates and Charges with a percentage between 0 and 3.8%. IPART has approved a rate increase in general income of 3.8%. Council's minimum rate for Residential and Business categories has been increased by $17.00 to $741.00 (being the rate peg increase of 2.3%). Council’s minimum rate for the Farmland category has been increased by $11.00 to $485.00 (being the rate peg increase of 2.3%). Recommendation 1 - has additional wording “and one hundred and twenty eight dollars ($128.00) for vacant or unconnected land per assessment” to clarify that this charge will be applied to vacant and unconnected land. Recommendation 3 – has additional wording “categorised as Business or Farmland that are not vacant but do not, or have elected not to, receive a commercial waste service” to include other circumstances where this charge will apply. Recommendation 12 – has additional wording “then be charged the greater of five dollars ($5.00) or the relevant proportion of the maximum annual charge that would apply to the land subject to the strata scheme (the ‘relevant proportion’ is the proportion that the unit entitlement of that lot in the scheme bears to the aggregate unit entitlement of the scheme)” to reflect a change in the way the stormwater charge is calculated for business strata lots as a result of the addition of sub-clause (d) to Regulation clause 125AA. The impact of this change is minimal as we only have seventeen (17) business strata’s involving 101 assessments. Some ‘Short Titles” have been changes to better reflect the charge names in our rating software and the information printed on Rate Notices. Note: Departure times to off-site meetings have been added. The NSW Rural Fire Service, Lower North Coast Zone, Liaison Committee met on Thursday 14 May 2014. This report provides Council with an overview of the activities of the RFS for the third quarter of the of the 2013/14 financial year. The minutes of the meeting held Thursday 14 May 2014 are included within the report for Council’s information and the SLA quarterly business plan, financial and performance reports have been provided under separate cover due to their size. The RFS Operations Officer presented the expenditure for the Service for the period March 2014 for the Nambucca Shire Council. The expenditure is on track at approximately 70% for the third quarter period and it is anticipated to be under budget attributed to low fire activity across the Shire. The RFS were requested to quantify the overall numbers of MVAs, escaped burns etc as a means of putting a dollar figure of money spent on roads, resources etc. The next Liaison Committee meeting is scheduled Thursday 14 August 2014. The 2013/14 budget incorporated the RFS contribution for 2013/14. The agenda and minutes of the Nambucca Shire Traffic Committee meeting held on 3 June 2014 are attached for Council’s information and adoption. 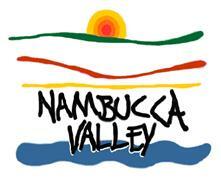 1 receive and note the minutes of the Nambucca Shire Traffic Committee held on the 3 June 2014. 2 install Give Way signs and associated line marking at the Bellenger Street approach to the intersection of Short Street, Nambucca Heads to clearly identify traffic priority. 3 install dividing barrier lines on the Short Street approaches to the intersection with Bellenger Street. 4 install a Give Way sign and line marking at the intersection of Hallidise Street and Charlton Street, Nambucca Heads as requested. 5 do not extend the High Pedestrian Activity 40 area in Ridge Street Nambucca Heads to ensure a uniform speed zone along Ridge Street. 6 replace the 1 hour parking restriction on Ridge Street Nambucca Heads between Bowra and Kent Streets, with a 15 minute restriction to create a higher turnover of available parking for the 3 bays and advertise the changes in the local media. 7 note that the proposed delegation outlining community concerns regarding speed limits and traffic problems at Kingsworth Estate has been deferred to the next meeting. 8 does not consider it necessary to reduce the speed limit for trucks on Valla Road as traffic counters confirms heavy vehicle compliance with the posted speed limit. Advertise the road closures seven (7) days prior to the event. a) The proposed roundabout at the intersection of River Street and the Pacific Highway is not appropriate at this location. b) Consider the installation of a speed hump at the intersection of Princess Street and River Street to slow vehicles entering the River Street Precinct. ii cater for larger vehicle turning paths at intersections. The Nambucca Heads Chamber of Commerce resolved to request the Nambucca Shire Local Traffic Committee replace the 1 hour parking restriction on Ridge Street, Nambucca Heads between Bowra and Kent Streets, with a 30 minute restriction to allow for a higher turnover of available parking for the three (3) bays while not putting drivers at risk of fines for over parking if queues at the Post Office, Bank or Pharmacy are long. Prior to consultation with the Chamber of Commerce, the Local Traffic Committee recommendation was to install 15 minute parking. Local Traffic Committee – The Roads and Maritime Services (RMS) are legislated as the organisation responsible for the control of traffic on all roads in New South Wales. Traffic is controlled by the installation of prescribed traffic control devices, such as regulatory signs, or traffic control facilities, such as medians. The members of the Committee met on 3 June 2014 and determined a number of matters as per the attached Agenda and Minutes. No environmental Impacts as a result of the recommendations. Recommendations aim to achieve a safer road environment which is socially acceptable. Risk of not adopting the recommendations is increased likelihood of road traffic accidents. Cost of installing regulatory and advisory measures. Costs associated with installing signs and line marking. 4.1 Deliniation - Corner Short and Bellenger Streets, Nambucca Heads Error! Bookmark not defined. 4.2 Hallidise Street and Charlton Street T-Intersection................... Error! Bookmark not defined. 4.3 Ridge Street Nambucca Heads - Speed Restrictions............... Error! Bookmark not defined. 4.4 Ridge Street Nambucca Heads - Parking Restrictions............. Error! Bookmark not defined. 4.5 Florence Wilmont Drive Speed Limit...................................... Error! Bookmark not defined. 4.6 Valla Road - Heavy Vehicle Speed Limits............................... Error! Bookmark not defined. 4.7 Temporary Road Closure Application - Volkswagen Spectacular 2 August 2014 Error! Bookmark not defined. 4.8 Macksville Town Centre Revitilisation - Traffic Management..... Error! Bookmark not defined. That the Committee note the adoption of the Minutes of the Meeting held on 4 February 2014. 1 That the Nambucca Shire Local Traffic Committee recommends that Council note the installation of a pedestrian crossing on Riverside Drive would create a greater hazard for pedestrians than the existing pedestrian refuge arrangement. 2 That the Nambucca Shire Local Traffic Committee recommends that Council replace existing pedestrian refuge on Riverside Drive with a fully compliant refuge to Roads and Maritime standards subject to successful grant application for 50% of the value of the works. That the Nambucca Shire Local Traffic Committee recommends that Council advise Macksville Neighbourhood Watch Committee the NSW default speed limit for urban roads is 50km/h and can only be reduced in High Pedestrian areas such as shopping precincts and at certain times around schools. That the Nambucca Shire Local Traffic Committee recommends that Council install advanced warning signage and repeater signs on Old Coast Road Nambucca Heads near Link Road to reinforce awareness of the 60km/h speed limit. The Nambucca Local Traffic Committee recommends Council approve a request from Uniting Care for Left Turn Only traffic movements from Village Lane into Lee Street, Nambucca Heads. The next meeting will be held on Tuesday 3 June 2014 commencing at 10.30am. There being no further business the Chairperson then closed the meeting the time being 12.00pm. Council has received requests for clear delineation at the corner of Short and Bellenger Streets, Nambucca Heads for vehicles entering the intersection as it is not clear who has the right of way. That the Nambucca Shire Local Traffic Committee recommends that Council install a Give Way sign and associated line marking at the Bellenger Street approach to the intersection of Short Street, Nambucca Heads to clearly identify traffic priority. Social improvement as a result of the recommendation as pedestrians and motorists will feel safer at the intersection. Council has received a request for a Give Way sign at the intersection of Hallidise Street and Charlton Street, Nambucca Heads. That the Nambucca Shire Local Traffic Committee recommends that Council does not install a give way sign at the intersection of Hallidise Street and Charlton Street, Nambucca Heads as requested, as the minor leg is a low volume road and the T intersection priority is clear. Install a Give Way sign. Hallidise Street, Nambucca Heads is a low volume street serving 5 properties and is the minor leg of an intersection with Charlton Street. Council has received a request to install a Give Way sign to reinforce the give way rule as there is concern somebody will get T-boned. For road safety reasons where the bar of the T is an arterial road. Give way signs are not required if the T–Intersection rule operates satisfactorily. There are no variances to working funds. That the Nambucca Shire Local Traffic Committee recommends that Council given associated costs and questionable warrants, does not extend the High Pedestrian Activity 40 Area in Ridge Street Nambucca Heads to create a uniform speed zone. Request funding from Roads and Maritime Services to extend the High Pedestrian Activity 40 area in Ridge Street Nambucca Heads to Estuary Lane and connect with the school zone. A request has been submitted to consider making the entire vicinity 40kph as - there are so many 60 - 50 - 40 it gets confusing for visitors and residents alike - On Ridge Street before Bowra Street it is 50kph for 50m and then back to 40kph. The High Pedestrian Activity 40 Area has been included in Ridge Street for a short section as it is on the approach to Bowra Street and incorporates a pedestrian crossing and access to the library. All the speed changes at significant expense are clearly signposted and the school zone only comes into action for 3 hours a day. Warning lights in all school zones in NSW are being rolled in the near future. The cost of extending the High Pedestrian Activity 40 Area (if warranted), would run into the thousands given the expense of removing and reinstating pavement numerals and signs. Council has received a request to modify the time limit parking restrictions on Ridge Street, between Bowra and Kent Streets, Nambucca Heads to allow for a greater turnover of available parking in this highly sought after parking location. That the Nambucca Shire Local Traffic Committee recommends that Council replace the 1 hour parking restriction on Ridge Street, Nambucca Heads between Bowra and Kent Streets, with a 15 minute restriction to create a higher turnover of available parking for the 3 bays. Retain the existing parking restriction of 1 hour. A 1 hour parking restriction exists on Ridge Street, between Bowra and Kent Streets, Nambucca Heads where 3 parking spaces are available. The spaces are the ideally located for customers to access the Post Office, a chemist, medical centre, library and other local shops and banks in the vicinity. The parking spaces do not meet the demands for customers wanting to access the abovementioned businesses throughout the day. There simply is no room available to create additional space, therefore a higher turnover of parking vehicles would be a more efficient way to utilise the spaces available. Council has received a number of requests for one or more of these 3 parking bays to be dedicated for a specific use from disabled parking, medical centre dedicated parking, Community Transport and security firms pick up parking. Consideration can be considered to reducing the parking restriction for the 3 bays to 15 minute parking in turn generating a higher turnover of available parking spaces. !5 minutes should leave sufficient time for a single trip to the Post Office, chemist and to a lesser extent the medical centre. 1 hour parking is available throughout the CBD if longer visits are planned. An additional risk of infringement notices to customers who park in the bays over the 15 minute restriction. Cost of changing the signs. Council has received a request from a member of the public to address the Local Traffic Committee in person regarding speed limits and traffic problems at Kingsworth Estate. That the Nambucca Shire Local Traffic Committee recommends that Council note community concerns regarding speed limits and traffic problems at Kingsworth Estate. 2 Carry out a speed zone review with a view to reintroducing the 70 km/h section of Florence Wilmont Drive from 50 km/h. Florence Wilmont Drive is the collector road for the Kingsworth Estate subdivision located 3 km south of Bellwood where it intersects with the Pacific Highway then heads in a westerly direction. The Local Traffic Committee previously considered local concerns at its meeting of 5 October 2010 when for a 1 kilometre section the speed limit was 70kmh. A resident of Florence Wilmont Drive whose property fronted the 70 km/h section of the road expressed his concerns at the excessive speed vehicles travel and was also worried a child or pedestrian will be involved in a collision. Roads and Maritime Services carried out a speed zone review of Florence Wilmont Drive and the outcome was to replace the 70 km/h speed limit with 50 km/h, this was subsequently installed in 2012. The speed zone on Florence Wilmont Drive was 70 km/h from the Pacific Highway for a distance of 1 kilometre, then, where it intersects with a local Road (Alfred Close), the speed zone is sign posted 50 km/h for the remaining 1 kilometre. The lots fronting the full length of Florence Wilmont Drive are similar in size, approximately (8,000m2). The western 50 km/h zone has 3 intersecting local streets which suggest the posted speed limit is appropriate. The eastern length has no intersecting streets, horizontal and vertical alignments are commensurate higher speeds. A Valla rural resident seeks a reduction in the speed limit on Valla Road between Valla Quarry and the Pacific Highway. Request Roads and Maritime Services consider a lower speed limit for trucks on Valla Road. The concerned resident seeks a reduction in the speed limit on Valla Road between the quarry and the highway as a means of controlling what he believes to be the excessive speed at which trucks travel along the road. He advised Council’s General Manager that on many occasions he sees speeding trucks crossing the centreline, including where there is an unbroken centreline. He asked whether there could be a differential speed limit signposted, i.e. a lower speed for trucks – say 60km/hr with the cars in accordance with the existing signposted 80km/hr. He has been advised that we did not think the RMS allowed differential speed zones on local roads but the matter could be considered by the Local Traffic Committee. However it should be noted Council has been contacted by only one resident and he was advised that Council will need greater representation or statistics demonstrating there is in fact a problem, traffic counters have been installed. Production from the quarry has increased 40% in the past 12 months. He was requested that he submit his request in writing and that Council staff would refer his request to the Local Traffic Committee. Valla Quarry is supportive of reducing the heavy vehicle speed limit to 60 kph on Valla Road. Lower speeds may be more acceptable to some local residents, however others may become impatient if they are stuck behind a truck travelling at lower speeds. There is no perceived risk as reaching a speed of 80km/h is unachievable only virtually all sections of Valla Road. Council has received a request for a temporary road closure for Volkswagen Spectacular. The applicants have requested the closure of Bowra Street, Nambucca Heads from Palmer Street to Ridge Street between 0945 and 1200 hours on 2 August 2014. 1 Refuse the application for road closure. 2 Approve road closure for this event. Council has received a request for temporary road closure of Bowra Street, Nambucca Heads from Palmer Street to Ridge Street between 0800 and 1300 hours on 2 August 2014 for the purpose of conducting the biennial Volkswagen Spectacular display. The event has been held previously with no incidents and all approvals will be in place. Car displays draw large crowds to the town centre. There is minimal risk to road users and the event has been held previously with no incidents. The purpose of this report is to assess and recommend options for Local Area Traffic Management schemes within the River Street precinct of Macksville to maximise traffic flows and user safety after the completion of the Pacific Highway Bypass. a) The proposed roundabout at the intersection of River Street and the Pacific Highway be replaced with a typical at grade 4 way intersection which has provision for right turn movements out of River Street. b) Installation of a speed hump at the intersection of Princess Street and River Street to slow vehicles entering the River Street Precinct. 1 Adopt the Concept Improvement Options. 2 Retain the existing layout. 3 Install a fully mountable roundabout at the corner of Princess Street and River Street. Council’s Local Growth Management Strategy - Employment Lands (GHD 2010) recommends a revitalisation strategy be prepared for the Macksville CBD as part of a broader suite of actions to capture opportunities and alleviate impacts associated with the Pacific Highway Bypass of Macksville. The Observation and Opportunities report is considered a first step in moving towards a revitalisation strategy. Concept traffic management plans have been developed for consideration as part of this strategy. · Install landscaped blisters and expect a reduced level of service at the intersections whereby there will be increased likelihood motorists will have to wait behind queuing or turning traffic prior to entering or leaving the intersection. · Contain additional landscaping within existing footpath areas. The concept plans show a proposed roundabout for the above intersection. After consideration of its merits, there appears an increased likelihood of traffic accidents due to insufficient sight distance to oncoming traffic or to traffic that has priority. The physical constraints at the location also make manoeuvres hazardous, particularly for larger vehicles where guardrail exists at the edge of carriageway. With the bypass in place, there is scope to reintroduce right turn movements particularly when leaving River Street on both sides of the highway. Right turn movements into River Street (from the existing highway) are more difficult to achieve as there is insufficient room available for dedicated turning lanes and there may be unacceptable delays for through traffic where a right turning vehicle is blocking the only through lane. The above intersection provides entry to the River Street precinct where increased pedestrian activity is anticipated as a result of the revitalisation works. Reducing vehicles speeds entering the precinct is imperative due to the increased pedestrian activity and the change to vehicle parking where cars will now reverse out of parking bays into traffic flow. 1 Install a fully mountable roundabout. This option will also provide ideal traffic flow for vehicles entering the adjacent car park when entry will be from River Street. 2 Install a slow point where vehicles negotiate kerb blisters acting as a chicane. That the Nambucca Shire Local Traffic Committee recommends that Council install Give Way signs and associated line marking at the Bellenger Street approach to the intersection of Short Street, Nambucca Heads to clearly identify traffic priority. That the Nambucca Shire Local Traffic Committee recommends that Council install dividing barrier lines on the Short Street approaches to the intersection with Bellenger Street. That the Nambucca Shire Local Traffic Committee recommends that Council installs a give way sign and line marking at the intersection of Hallidise Street and Charlton Street, Nambucca Heads as requested. That the Nambucca Shire Local Traffic Committee recommends that Council given associated costs and questionable warrants, does not extend the High Pedestrian Activity 40 Area in Ridge Street Nambucca Heads to create a uniform speed zone along Ridge Street. That the Nambucca Shire Local Traffic Committee recommends that Council note a delegation outlining community concerns regarding speed limits and traffic problems at Kingsworth Estate has been deferred to the next meeting..
That the Nambucca Shire Local Traffic Committee recommends that Council does not consider it necessary to reduce the speed limit for trucks on Valla Road as the traffic counters suggest heavy vehicle compliance with the posted speed limit. The next meeting will be held on 5 August 2014 commencing at 10.30am. There being no further business the Chairperson then closed the meeting the time being 11.45 am. Council has received correspondence from the EPA requesting Council to show cause as to why the EPA should not take action in relation to what they consider are breaches to licence conditions and the Protection of the Environment Operations Act (1997). This follows on from a review of the Annual Licence return submitted by Council for EPA Licence No. 579 at the end of last year. Copies of the EPA correspondence along with Council’s reply are attached for Council’s information. The correspondence is considered to be self-explanatory. The EPA has been contacted in relation to the matter and has indicated that if a fine were to be imposed the likely maximum value could be in the order of $1,500. They also advised that a decision will be made as to the appropriate regulatory response before the end of the month. No options. A response has been made to the matters raised by the EPA and any further action is now in their hands. Two of the alleged breaches of licence conditions relate to a mechanical failure of a gear box which enables the operation of a decant weir in the main treatment tank. This failure was no fault of the operators and could not have been foreseen. As a result of the failure the treatment plant could not be operated in automatic mode and had to be operated manually. In addition a pump out system using a hired pump had to be put in place to remove effluent from the treatment tank in place of the decant weir. Council acted quickly to put measures in place to ensure that the plant kept operating with the operators checking on the plant after hours and commencing work earlier in the mornings. There was no overflow or bypass of sewage although the sampling results indicated a variability in effluent quality including instances where the licence concentration limits had been exceeded. It was not considered that environmental harm was being caused as all effluent continued to be disinfected prior to release to the environment. The damage to the gear box could not be repaired and a replacement gear box was required. This gear box could not be sourced in Australia and took longer to deliver than first anticipated. The third breach was simply an oversight where a particular load limit was exceeded but were not reported in one section of the Annual Return as required. The EPA were advised that it was purely an oversight when entering the information and therefore should not be considered as a breach. The “show cause” will have no environmental implications. The “show cause” will have no social implications. The “show cause” may have an economic implication if Council is required to pay a fine as a result of the alleged licence breach. The EPA is moving towards a risk based assessment system for all licenced facilities including sewage treatment plants. This process will set a risk rating for the plant which will in turn determine the amount of regulation and compliance reporting that will be imposed on the plant. It is also likely to bring about an increase in the penalties that can be imposed for breaches of the licence. However the Macksville Sewage Treatment Plant is considered to be well maintained and operated and is operated by experienced staff. It generally performs well in meeting its licence requirements and a repeat incident of this nature would be unlikely. There may be a direct impact on the current budget if the EPA make a decision to impose a fine. However just prior to the business paper being published, Council received the attached official caution from the EPA. With the issue of the caution it is not anticipated that Council will receive a fine. As Council has now received a caution there is unlikely to be any impact on working funds. Reference is made to the above and your letter dated 27 May 2014 and Council offers the following comment with regard to the matters raised. The failure of the gearbox on the decant weir was outside the control of the operators and completely unforseen. The gearbox was regularly serviced and lubricated in accordance with normal manufacturers recommendations. It is not an item that would be expected to fail nor have a replacement unit on standby on site. Macksville STP is a well operated and maintained sewage treatment plant manned by experienced operators. Council considers it would be incorrect to suggest that the plant and equipment are not operated or maintained in a proper or efficient manner. Macksville is one of three treatment plants that are operated and maintained by two operators. These operators have been trained through the original Public Works and now Office of Water systems, one having over 20 years of experience the other around 15 years of experience. Regular maintenance is carried out on all major items of equipment essential to the treatment process. The SCADA control system has been set up to provide alarms when service intervals, based on hours run, as recommended by the manufacturers are reached. The SCADA is only reset after the service has been completed. Pages showing the screen shot of the SCADA maintenance schedule are attached for your information. Hard copies of servicing records of major plant items are also kept on site and can be supplied if required. Operators also keep diary records of all work carried out on site. The failure of the decant weir gear box caused a longer than expected disruption to the treatment process at the Macksville STP. A replacement gear box could not be sourced in Australia and had to be imported from overseas. replacement for the decant weir when required. The fact that the incident was not reported was mainly due to the interpretation of the Act which states that pollution incidents causing material harm to the environment must be notified. Clause 147 of the Act states that material harm to the environment involves actual or potential harm to the health or safety of human beings or to ecosystems that is not trivial. The mechanical failure did not result in a sewage overflow or bypass as all sewage was still being treated on site as best it could. At the time we did not consider that we were causing material harm to the environment in terms of the above definition. Immediately following the gear box failure there were some high concentration readings but subsequent sampling confirmed that the concentrations had reduced and for some weeks remained well within the licence limits. The highest reading was at the end of the period that the failure affected the plant and likely coincides with the time the gear box was being replaced. All bar one of the sampling results confirm that faecal coliform counts were being maintained at acceptable levels. A screen shot of Council’s sampling records covering this period are also attached for the EPAs information. However with the benefit of hindsight and given the nature of the problem and the variability of the effluent quality being produced Council is prepared to acknowledge that reporting the incident would have been an appropriate course of action. The discrepancies noted in the latest Annual Return were an oversight and there was no deliberate intention by Council to provide incomplete or misleading information. The correct number was entered in the Assessable Load calculation for BOD and one could reasonably assume this this would not be the case if Council was trying to provide misleading information. As previously stated Council considers that the Macksville plant is generally well operated and maintained with licence concentration limits being consistently met. A review of previous returns will confirm that BOD concentrations are maintained well below the licence limits and there was no thought that the load limit for this parameter would be exceeded. We have reviewed our records back to 2004 and it is very rare for the BOD concentration to be recorded above 10 and in the majority of cases it is below 5. The main cause of raised BOD levels is consistent heavy rainfall that causes sludge carry over into the catch / balance pond. Should you wish to discuss this matter further, please do not hesitate to contact Mr Richard Spain, Manager Water and Sewerage of Council’s Engineering Services Department on 6568 0234. A quorum was not available at the meeting held on 4 June 2014 so the agenda items were raised for the information and discussion only. The minutes of the record of discussion relating to the meeting are attached for Council’s information. Main items of discussion were the ongoing risks to the project and their impact on the project budget including the following. Haslin’s major claim for delay and additional work with Public Works commenting on the progress of negotiations and advising that a position paper on the matter would be forwarded to Council within the next fortnight for reporting at the next available Council meeting. Resolution of design issues involving instances where it was considered that the information provided on the drawings was not adequate to clearly define how the work was to be constructed. Public Works advised that they were spending a lot of time in trying to manage and resolve these design issues and GHD were invited to the meeting to discuss some of these and determine appropriate action to move forward with the project. Construction errors related to the baffle blocks at the bottom of the spillway being incorrectly located and the drainage aggregate in the spillway underdrains being incorrectly wrapped in geofabric. GHD advised that the incorrect location of the baffle blocks would only make a noticeable difference to the performance of the spillway in an extreme flow event. Expensive modelling would be required to accurately quantify the difference in performance and as the risk of a major event was low and impact downstream would be significant flooding in any case it was considered that this was not justifiable. A recommendation was made for Council to accept the baffle blocks in their current location. A final decision on the how to deal with the geofabric wrapping the drainage aggregate was yet to be determined. Council has committed funding in the 2013/14 budget that was expected to be sufficient to complete construction works. Delays to the construction program and the contractor claim for delay and additional works will require additional funding to be allocated in the 2014/15 budget. The Office of Water has confirmed a $14.8 million subsidy as part of the existing Country Towns Water Supply and Sewerage program. $12.4 million of the funding has been claimed to date. Council has also signed a Stage 2 funding deed for the remaining $9 million of a $10 million grant offered by the Federal Government. $8 million of this Stage 2 funding has been claimed and paid to date. The Department of Environment has agreed to a variation of the Funding Deed to enable the remaining $1 million to be paid prior to 30 June 2014. A significant variation is being negotiated between the NSW Public Works and the Contractor which will have a major impact on the budget. In accordance with Council’s procurement and tendering procedures, the General Manager gave approval on 9 April 2014 to invite tenders for T003/2014 for the Construction of Landslip Remediation, Taylors Arm Road, Macksville. An open tender was conducted through Tenderlink which closed on 12 June 2014. A compulsory site meeting was held on 2 June 2014 which was attended by Council staff, a representative of the designers, Coffey Geotechnical Pty Ltd, and seven (7) potential tenderers. 2 Not accept the recommendation and not proceed with the project. 3 Not accept the recommendation and select another tenderer. An intense rain event on 28 January 2012 resulted in collapse of the riverbank in several locations along Taylors Arm Road, Macksville. The Attorney Generals Department announced on 3 February 2012 that the event was declared as a natural disaster and funding would be available for the remediation of damage caused by the 28 January storm event. Coffey were engaged 9 March 2012 to carryout geotechnical investigation and to design an engineering solution to restore Taylors Arm Road and stabilise the riverbank. Coffey submitted an initial Geotechnical Report for Site One (1) on 9 October 2012 and further Geotechnical reports for Sites One to Four (1) – (4) on 20 December 2012. A storm event on the 23 and 24 February 2013 caused further damage to Site One (1). On 25 September 2013 RMS who administer the natural disaster funding approved Coffey’s proposal for final design for an anchored sheet pile solution for Site One (1) and on 20 January 2014 approval was given to proceed with similar designs for Sites Two to Four. A similar engineering solution has been chosen for the four sites and the works have been tendered for construction as a single package. Coffey’s have prepared a final design report (Trim document 11972/2014) for Sites One to Four (16 April 2014) and RMS has given their approval to proceed to tender for construction after receiving revised cost estimates (15 May 2014). A numerical evaluation resulted in the submission by Pan Civil receiving the highest overall score. Pan Civil has completed similar projects for both Kempsey Shire Council and Bellingen Shire Council in recent years and were recently awarded the tender for Lower Parkes Street in Nambucca Heads. The company has a good reputation for competency in this line of work. The tendered price is within the provisional sum of has been approved by RMS. Details of the tender submissions and evaluation are included in the confidential report. It is anticipated that the project will take approximately 24.weeks (depending on weather) to complete the remediation of the landslip once the tender is awarded. This includes a lead time of 8 weeks to procure materials and 16 weeks of on-site works. The Construction will be undertaken from the existing roadway with some disturbance of the river bank. Contractors will be required to submit an Environmental Management Plan related to their construction methods and environmental risks. NSW Fisheries Permit conditions will apply to the project. The project will stabilise the road and prevent a further collapse of the road into the river at these locations. Two way traffic will be restored to Taylors Arm Road. Two way two lane traffic will be restored to Taylors Arm Road eliminating the existing delays. If the work is not undertaken the risk exists of further collapse of the road. Funding for this project is being provided through Natural Disaster Relief Fund administered by the RMS. There will be no variations required to Council’s working funds. The construction project will be administered in house by Council’s Design Engineer and managed within current staff resource allocations.